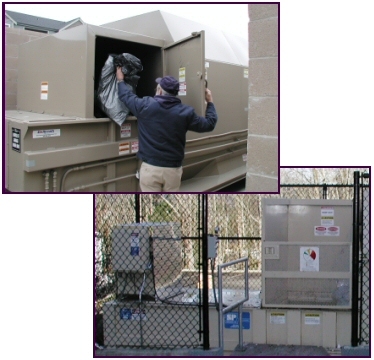 We Specialize in Industrial trash compactors and recycle balers of all types and sizes. With 16 years of experience in the greater Seattle area, we already have a good idea of what you need with just a few simple questions. Of course we know that this is not a one size fits all industry, that’s where our experience comes in. We have the ability to customize to practically any existing situation and to work with planners and architects to provide the right equipment for the job. All the time keeping your maximum savings in the forefront of any recommendations we make. Ask about our free savings analysis. If we can’t save you money, we’ll gladly let you know why and thank you for the opportunity to look in to it.